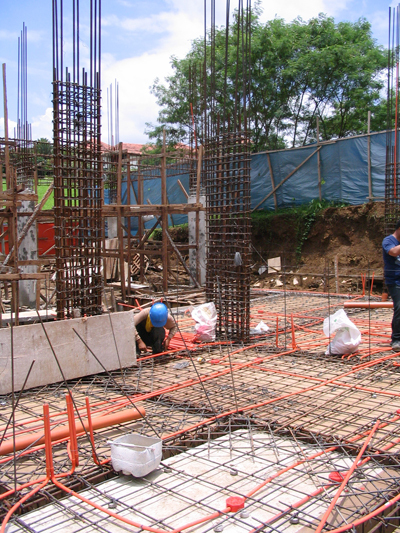 After the foundation work is finished, soil can then be returned and compacted so that the concrete floor slabs and columns can be poured. 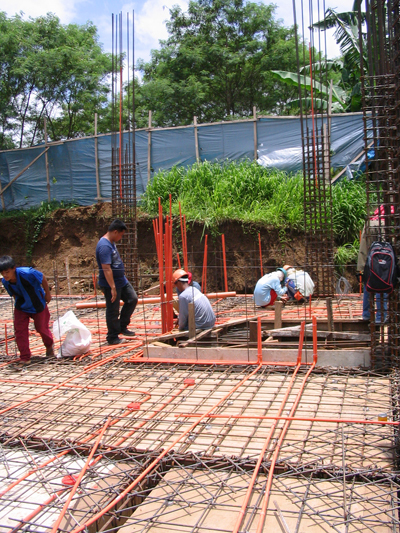 As always the fabrication work for the rebars stay one step ahead with the provision for the utilities just a breath behind so that everything is in place before the concrete is poured. 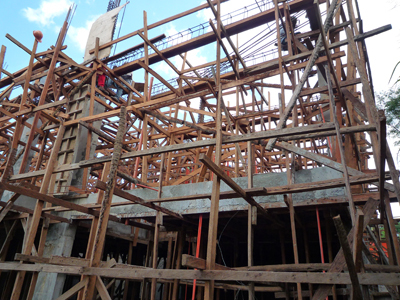 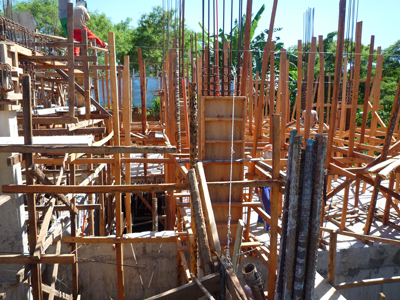 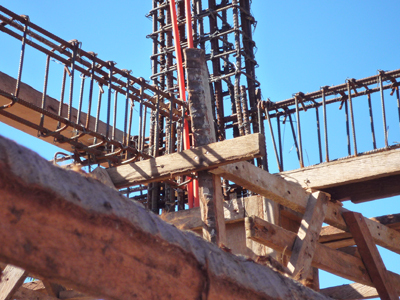 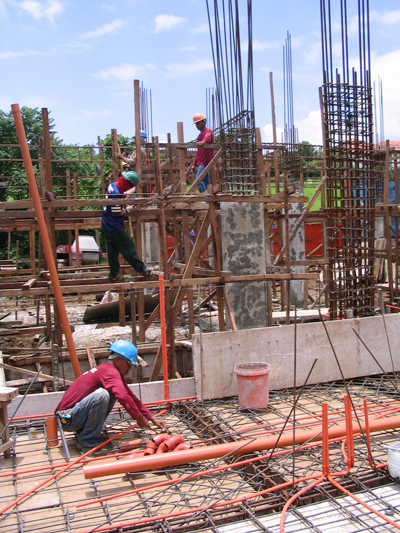 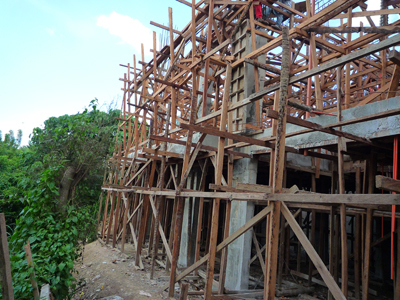 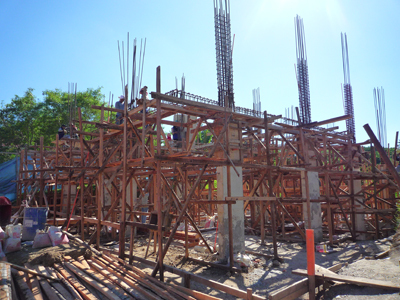 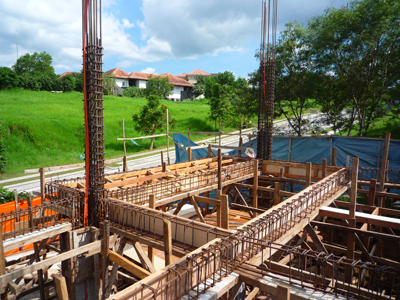 As the work goes up in the air, forms that are used to shape the concrete mix go up with the fabricated rebars. 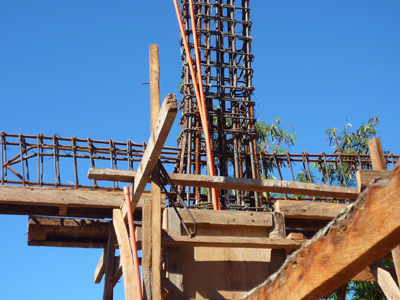 These forms can be made of wood or steel and made strong to support the weight of the concrete until it can support itself. 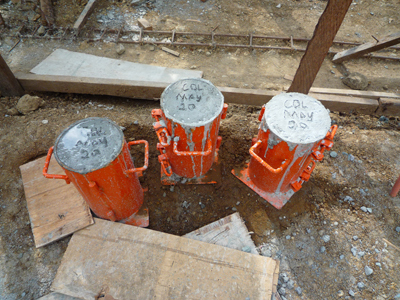 Concrete is tested for its strength using concrete cylinders that are sent to a lab.